The ground hog says 6 more weeks of winter. Honestly, I am not surprised. The Farmer’s Almanac said we were going to have a long hard winter this year. Personally, I put a little more faith in that than the ground hog anyway. And if you don’t put your faith in either of those, just look at the record lows that North America has had over the past few weeks. But while we are waiting for the snow to melt and the temperature to rise, we can start thinking about spring…right? Right. Savita is an open front lace cardigan with ruffle details knit in Soft Linen and a great transition piece. Soft Linen is made not only out of linen, but also wool and alpaca…which makes it an ideal year round yarn. Made using a bottom up construction and yoke design, this piece has minimal finishing. 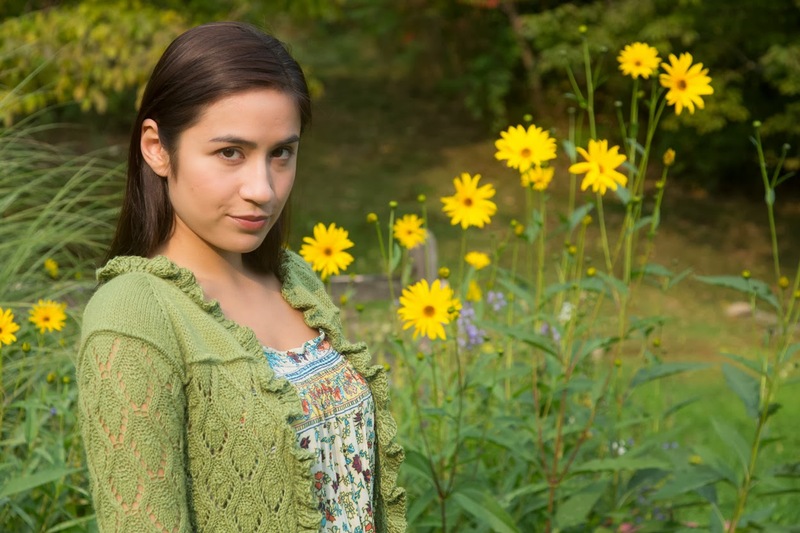 Another great cardigan in this book is Arpina. 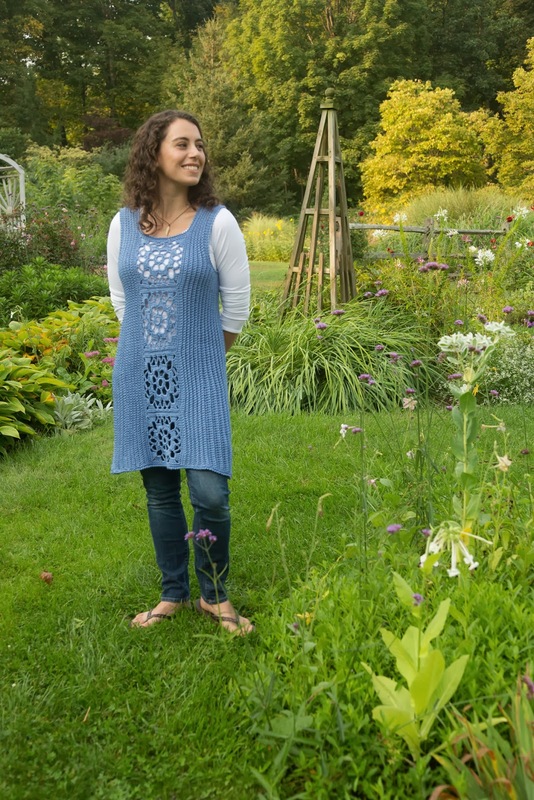 Made from our newest yarn, Cerro, it features a one button closure at the neck and a double ruffle at the hem. But what is really great about this piece is that it is crocheted. 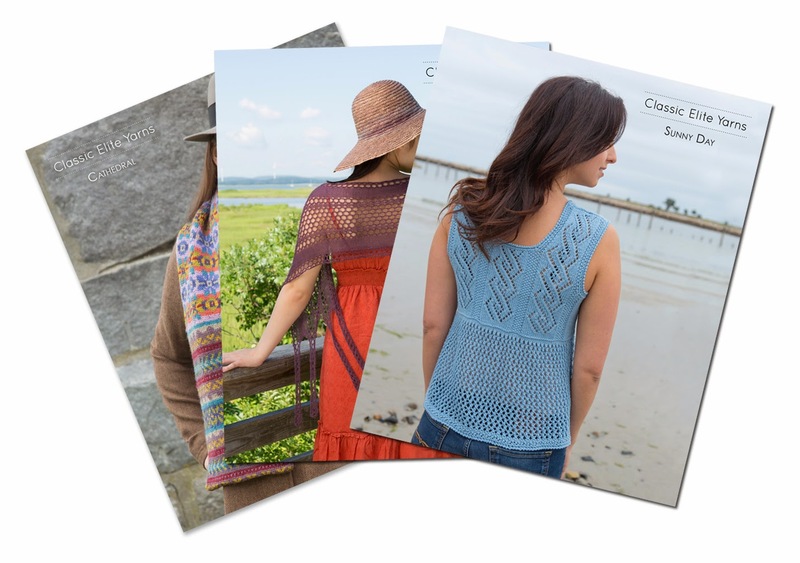 So often crochet is over looked, but we are featuring not 1, not 2, but 3 amazing garments in crochet in Sunny Day. The other 2 are Orli , a maxi skirt with lots of lace detail out of Firefly, and Nahara, a ribbed tunic with granny square motifs down the center, in Provence. I hope I have your mind racing towards longer days and higher mercury. It won’t be long before spring is here. And I know you will want your hand knitted wardrobe to be ready!